In this family of chairs the image of two floating circles is repeated, forming the chair seat and back. The collection is inspired by the Japanese symbol Enso, which in Zen Buddhism represents the moment the consciousness is free and creativity is unrestricted. A sculptural wooden frame supports this spiritual motif. 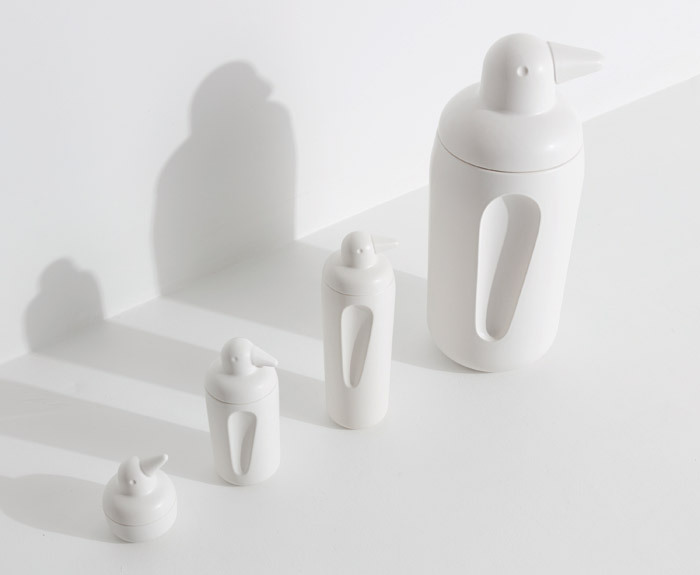 In the playful nature that Petite Friture is known for, András Rigler has designed a series of four penguin-shaped containers. Taking the fundamental shape and paring it back, Rigler has created something fresh and light-hearted. Ping is enchanting as a collection or separately. 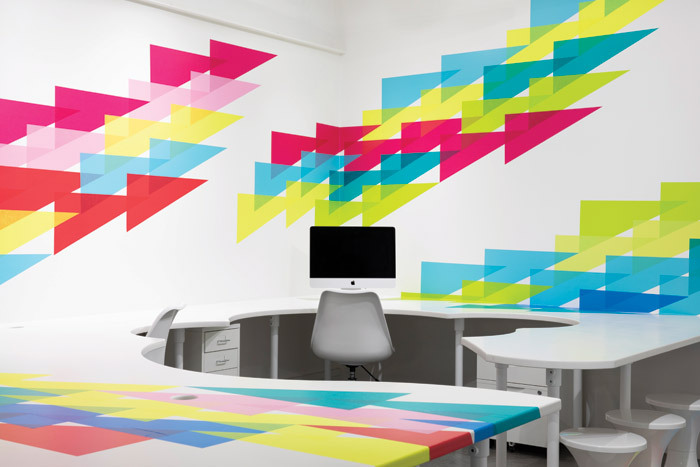 A concept originating in Japan, HARU stuck on design is a durable adhesive tape for many surfaces. Without leaving a trace, it can be used to inject colour into interiors either temporarily or permanently. Nitto, established in 1918 as a specialist in electrical insulation materials, developed the product, applying it to the creative industries. 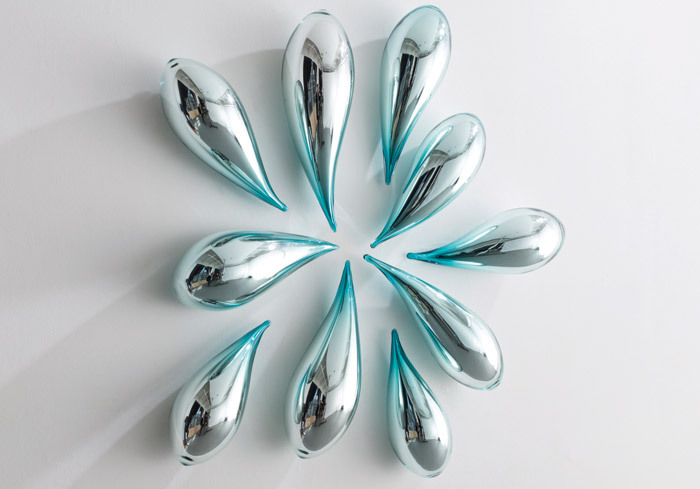 Part of Jeff Zimmerman’s latest collaboration with The Invisible Collection, these hand-blown glass pendants come in three standard colours but each piece is entirely unique. The collection is in celebration of The Invisible Collection’s new private showroom in Belgravia. 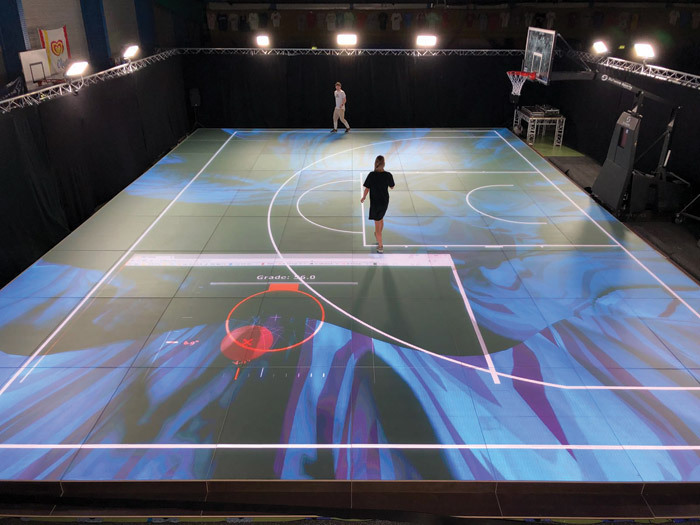 This innovative sports floor is made from glass, but not as we know it. Two layers of laminated safety glass create a unique elasticity, while an etched matt surface and ceramic dots, burned on the surface, create the grip needed. Being glass, the floor is highly interactive and can be illuminated to display different courts.